An illegal money lender has been told to pay back more than £230,000 of criminal ill-gotten gains he made from vulnerable customers. Following a confiscation hearing at Derby Crown Court on Tuesday, February 19, Andrew Gent, 50, of Mill Lane, Wingerworth, was ordered to pay back £231,250 from his proceeds of crime. Gent was given three months to pay the amount or face a six-month default prison sentence. He must also pay £1000 in prosecution costs. The defendant was previously sentenced to eight months in prison suspended for 18 months in July, 2018, with a six-month curfew and 150 hours of unpaid work. The case was prosecuted by the England Illegal Money Lending Team (IMLT) who work in partnership with Derbyshire County Council trading standards and Derbyshire Constabulary. Warrants were executed at Gent’s home and business addresses in November 2016, according to the court, and investigators recovered a quantity of documentation demonstrating illegal money lending activity. At an earlier hearing, prosecutor Simon Mortimer told the court that the defendant had been running an illegal money lending business between the period of June 2015 and November 2017. Mr Mortimer added that although Gent had held a licence to conduct credit-related activity from December, 2010, to May, 2015, the defendant failed to apply for interim permission during the change over from the Office of Fair Trading to The Financial Conduct Authority. 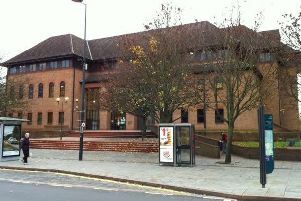 The court was told that the defendant had issued approximately 1,500 loans totalling £211,000. Gent amassed a large customer base of around 170 customers and charged an average interest of 40 per cent on each loan. Tony Quigley, head of the England Illegal Money Lending Team, said: “Under proceeds of crime legislation we are able to strip loan sharks of their assets leaving them with no power basis to start again. “The cash will be ploughed back into communities and used to help combat this crime through awareness raising and education. Derbyshire County Council Cabinet Member for Health and Communities Councillor Carol Hart said: “Our Trading Standards officers were involved in this case and we welcome this move by the court as it sends out a strong message that activity like this doesn’t pay, is extremely serious and can have a huge impact on people’s lives. “Illegal money lenders prey on vulnerable people, often when they are at their most desperate, in many cases causing them to spiral into even more debt. Nationally, Illegal Money Lending Teams have secured more than 380 prosecutions for illegal money lending and related activity, leading to nearly 330 years’ worth of custodial sentences. They have written off £73.7 million worth of illegal debt and helped over 28,000 people. To report a loan shark: Call the 24/7 confidential hotline 0300 555 2222; Text a report to 078600 22116; Visit the website www.stoploansharks.uk; Email reportaloanshark@stoploansharks.uk or private message Stop Loan Sharks on www.facebook.com/stoploansharksproject.